Manufactured from 2mm thick aluminium and fitted with 2 drop down handles. Lid included. Various depths available. 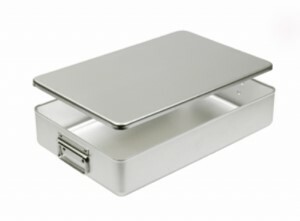 Manufactured from 1.6mm thick aluminium and fitted with 2 drop down handles. Several depths available.